D & D Restorations is a family owned business and we believe in family values. We take pride in all of our restoration projects from the smallest to the largest. Each restoration project is treated as if it were our own and we realize your car has a story and is special to you, which makes each restoration project special to us. Whether you found your restoration project in a junkyard or it is a treasured family heirloom it will be treated with pride, respect, and the tender loving care it deserves. 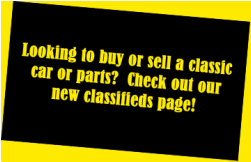 ARE YOU PURCHASING A CAR FROM OUT OF STATE OR COUNTRY? Not sure if it's up to par? D&D will set your mind at ease. 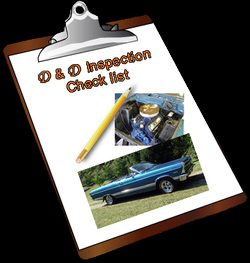 D&D offers pre-purchase analysis inspections. Starting as low as $175 we will supply you with a written check list sheet with our ratings, along with documenting photos.